People who are going to set up a new website need to get a hosting package. But the question is “what kind”? They must choose between shared hosting, dedicated hosting or VPS hosting plans. Before choosing a plan you should clearly identify your own requirements because they aren’t appropriate for every website. Each hosting offers different services. For a new and small website, shared hosting is the best option. Just like the name, it shares all the resources among multiple users. Thousands of websites are hosted on a single server and the server shares its total available bandwidth, power and also memory between each user. But this will not be stable. It varies according to the traffic to each website. If any sudden spike in traffic occurs your website may also experience page load delay. In a shared hosting, the user will be allocated a space on the server with a monthly fee. A single account can have multiple websites. The users are responsible for setting and running their own websites. The hosting provider will provide customer support and server maintenance including security and updates. This hosting will not suit everyone but it can be helpful for new businesses, entrepreneurs, etc. The most beneficial factor about shared hosting is its low cost. So anyone with a low budget can build and maintain a website. This is possible because a single server shares its resources among different users. 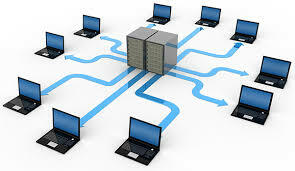 In dedicated hosting, you will get a server only for your own purpose. So you don’t need to worry about the unexpected traffic spike in your website. Shared Hosting is easy to use. A user with no experience in website design and also in hosting can easily make use of shared hosting. The service provider will provide an option like “one-click website install” for a WordPress site. The main drawback of shared hosting is it limits the resources for the users. Hence a sudden surge of traffic on a website cause other sites to slow down. Another main drawback of shared hosting is its lack of security. In shared hosting, websites are vulnerable to attacks. This kind of hosting offers no methods to install their own security measures to secure their website. To know more about Hosting, please feel free to contact us. We at Aspiration Hosting are one of the top Web Hosting companies.